TPC Overall Rank: #285 out of 2933 rides. Giant Wheel at Cedar Point is an excellent ferris wheel, and ranks right up there as one of my favorites. The setting near the beach/lake in front of Wicked Twister is perfect, and the views on this one are fantastic, with equal views of the sprawling park and the lake shores. The crew is great on it too, and they actually make use of all the gondolas on it, something that is becoming rare at most parks today. All in all, this is a wonderful family attraction that is both relaxing and fun! Great views. WHY SEATBELTS THOUGH??????? 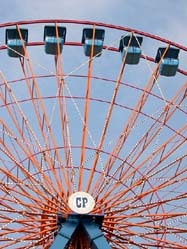 This is a really big spinning wheel ride that gives great views of the park and Lake Erie. Its well worth riding. Huge ride capacity means quick lines as well. Gives a good view of the park. Can be a bit unnerving if wind makes you anxious, but still a nice relaxing ride. The Giant Wheel is a ferris wheel that was installed in 1972. 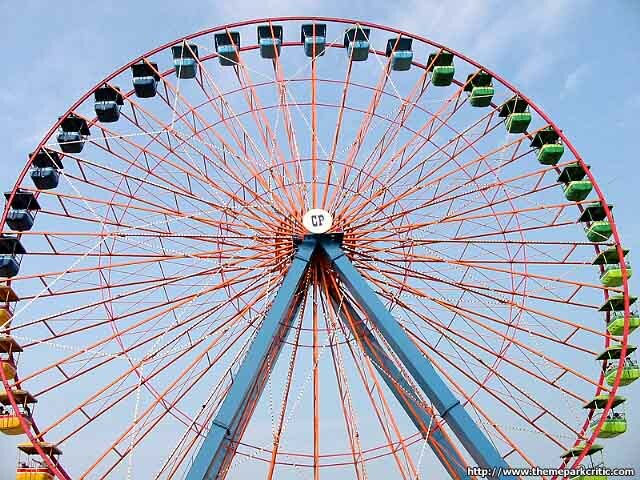 It is 168' tall, it is average speed, fun, rerideable, it has a large capacity, and a long duration. It also gives a nice view of the park and Lake Erie. Good, large ferris wheel. Provides a fabulous view of Wicked Twister and Wicked Twister midway. The view of Raptor isn,t so bad either even though it isnt better than the view on the Sky Ride. Avery good ride to slow down the pass of the day and relax while gazing at the seemingly endless Lake Erie. Havent rode it since they moved it so the view of the lake may raise my rating. I doubt I will like it as much as Knoebels, but it may be second. Since I wrote m orginal review I have become quite fond of ferris wheels so this needs to move up my reride list. 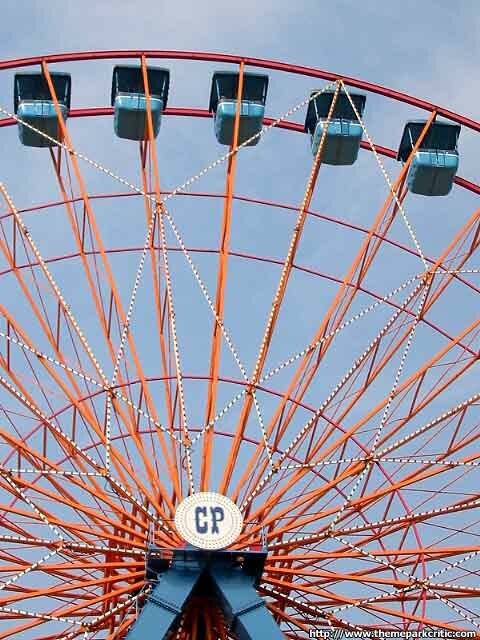 Its a perfect ferris wheel. Even though ferris wheels dont vary that much, this the right size at the perfect location. Not only can you see out over Cedar Point and look down at the people below you, you can also get a great view of Lake Erie. Looking down at Wicked Twister below you is neat too.